For as many adventures as the crimson-haired Adol Christian has been on it is becoming less obvious as to what exactly constitutes as an Ys game nowadays. Classic prior entries such as Ys: Oath of Felgnana or Ys Seven are drastically different in their design philosophies, for example. The only safe assumption one can make about the Ys series nowadays is a fun action-RPG combat system and awesome music. In this simple regard, Falcom's newest entry in the flagship series -- Ys VIII: Lacrimosa of Dana -- very much succeeds on that front, despite continuing to isolate itself from many of Adol's former adventures. In pure setup, Lacrimosa of Dana is absolutely faithful to Ys tradition. Adol starts his adventure on a boat... only for it to capsize and leave him stranded on the supposedly cursed location of Seiren Island. 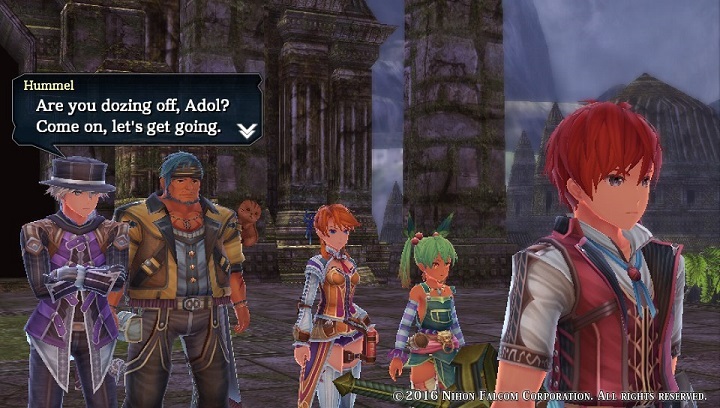 Where it quickly deviates, however, is that Adol is not alone during his adventurer this time around. I'm not just referring to eventual playable companions either, like Ys Seven or Ys Memories of Celceta have done years ago, but rescuing fellow shipwreck survivors quickly becomes the focal point of Adol's new debut. 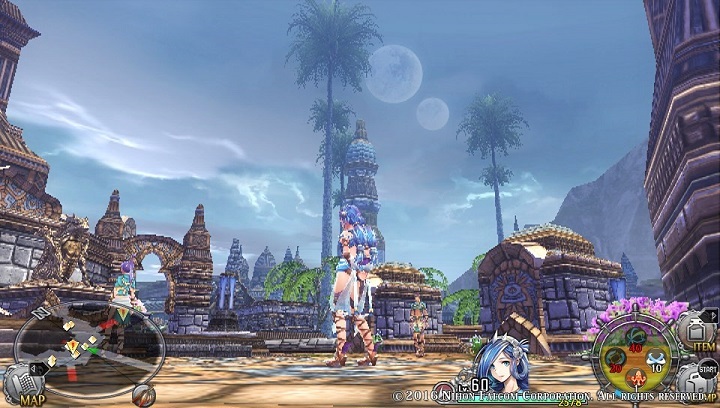 After a fairly slow introduction, Ys VIII: Lacrimosa of Dana gets into a groove of exploring the mysterious island and creating a safe haven for other survivors to gather the means to eventually escape the island. The more you explore, the more survivors you will likely uncover and eventually -- as a byproduct of doing both -- unlock more gameplay features in the central hub. For example, uncovering a blacksmith to help strengthen your weapons or a tailor to give your new accessories and outfits. At certain points players even have to defend the town from waves of monsters. It is an intriguing ebb and flow when it is done right that is not quite like any Ys title before it. Of course, many recent Ys stables are present and accounted for. The combat system is fast-paced and fun while retaining the three type of attack affinities of Slash, Strike, and Pierce to encourage swapping between allies on the fly in order to exploit enemy weaknesses (as introduced in Ys Seven). What is disappointing, however, is that combat feels considerably more easy, and generally less skillful, than most traditional Ys titles even on higher difficulties. While some bosses have neat tricks up their sleeve the less health they have you can pretty easily brute force most fights through the game's rather generous approach to healing items. It almost feels like overkill to have access to tools like a Bayonetta-styled dodge or a ''Flash Guard' that completely medicates damage, though I am sure it can be argued for the previous two games as well. 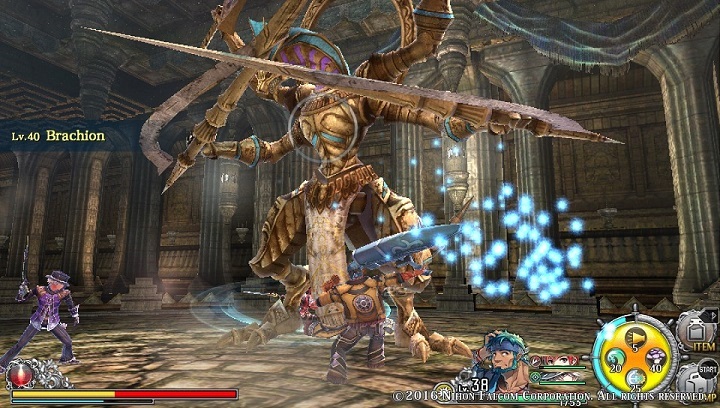 Ys VIII: Lacrimosa of Dana clearly puts a bigger emphasis on exploration, town-building, and storytelling while combat is a means to an end while doing so. 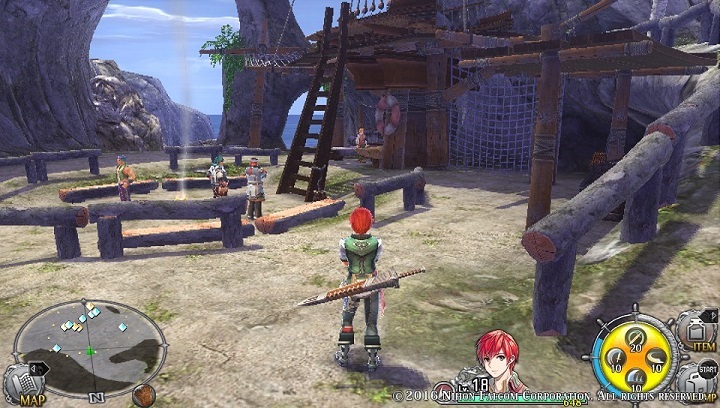 Very much like Ys VIII: Memories of Celceta there's a slight Metroid-ish approach to exploration as you gain new traversal skills, like double-jumping or the ability climbs vines, or by removing obstacles in environment based on the more survivors you find. It is neat, though; after a certain amount of time exploration feels more like an act of compulsion than genuine wonderment, like one would experience in likes of something like Xenoblade Chronicles, because of how little variability there actually is to the terrain. This is further devalued by stopgap moments like excessive storytelling scenes as well. Strangely enough, there is abnormally large emphasis on storytelling and it is not, well... particularly good. As one may guess, Ys VIII: Lacrimosa of Dana is not really a cohesive game. I'm not necessarily talking about the presentation either, which runs well enough on the portable despite noticeable slowdown. I simply mean there are a lot of concepts, ideas, and gameplay systems but none of them really excel enough to detract from what should be the series that is at its best when it has focused and fast-paced action-RPG gameplay. There is simply random feature creep for just the sake of it. Sure, you can do fetch-quests, catch fish, or keep hoping the main story will get better over time but... why? Ys VIII: Lacrimosa of Dana explores a new direction for Falcom's beloved series. With its satisfying combat, and rewarding sense of exploration, it could have easily succeeded just on that front. And yet, it is bogged down at its attempt to add more with consistently dull storytelling that remains way too long-winded throughout as well other not fully-fleshed gameplay systems, like a certain town-defense mini game, that surface many unnecessary stopgaps to the game's sense of a exploratory flow. It is certainly fun to play but one can not help but feel it would have been better off if its goals of exploring Seiren Island were simply more focused.